Participating at the national consultation in New Delhi, organized by India's civil society network National Alliance of People's Networks (NAPM), experts and politicians “expressed extreme” concern over World Bank president Dr Jim Yong Kim’s “evasive” attitude towards the environmental and livelihood concerns over the Tatas’ decision to expand the ultra mega power plant at Mundra in Kutch district, Gujarat. Organized jointly with the Machimar Adhikar Sangharsh Sangthan (MASS), which has been protesting against the UMPP's alleged environmental damage and adverse impact on people's livelihood, the consultation criticized the World Bank for ignoring its ombudsman’s views on the subject. 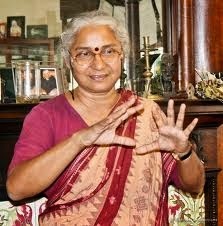 “Response of World Bank President Jim Kim is evasive and does not even recognize the finding of the report on Tata Mundra,” noted social activist Medha Patkar said. She was speaking at a discussion yesterday on the World Bank and its accountability in the context of the recent reports on Tata Mundra project. “The current stalemate is that of the president versus the Compliance Advisor Ombudsman (CAO) of the International Finance Corporation (IFC), as he has not given any heed to the findings of CAO,” she said. Member of Parliament Mani Shankar Aiyer said, “Development without consideration for environment and people is pointless.” He decried government policies which give big corporations tax concessions, which is glorified in the name of stimulus, while the same done to the farmers and marginalised is called subsidies.” The meeting was held in the context of the recent report by World Bank’s accountability mechanism, which reported Bank’s own policy violations by its private sector arm, IFC, which is part-funding the UMPP, being implemented under the banner of Coastal Gujarat Power Ltd (CGPL – Tata Mundra) project. CAO in its report had said that environmental and social risks and impacts of the project were not considered and addressed. There was no social baseline data. IFC’s policies for land acquisition were not applied, despite physical and economic displacement. Inadequate attention was paid to the requirement of biodiversity conservation. The IFC failed in its review and supervision of the impacts on airshed and marine environment. And, the IFC failed to examine the cumulative impact of projects around Tata Mundra. Earlier speaking about the inequity which is promoted by the World Bank, noted economist Prof Arun Kumar said, “World Bank does not have one line of operation but have one underlying principle, i.e., marketization of natural resources.” He added, “The notion that private efficient and hence market needs preference puts the question of equity secondary. The questions of efficiency and equity are opposing. Rationality is dominated by profits and greed is justified.” Energy expert Soumya Dutta, local community leaders Ayub Haji and Bharat Patel also spoke at the meeting. The statement said, “What is striking in the statement is the noticeable absence of IFC’s roles and responsibilities, with the major chunk of these delegated to Coastal Gujarat Power Limited, the Tata subsidiary running the project”, adding, “Silence of the president of the World Bank group goes on to prove that he is either helping IFC absolve itself from responsibilities, or is unable to do anything more than undermine the credibility of internal mechanisms like the CAO.